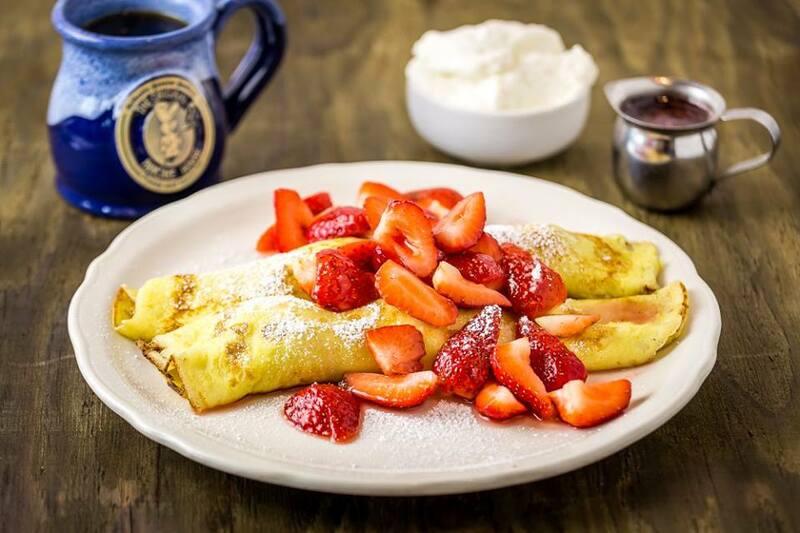 Two of our French crepes filled and topped with sweet fresh strawberries and dusted with powdered sugar. Served with fresh whipped cream. Three delicate crepes filled and topped with strawberries and lightly dusted with powdered sugar. Served with fresh whipped cream. Three delicate crepes rolled with sour cream, tempered with Triple Sec, and lightly dusted with powdered sugar. Served with blackberry preserves. A Danish favorite! 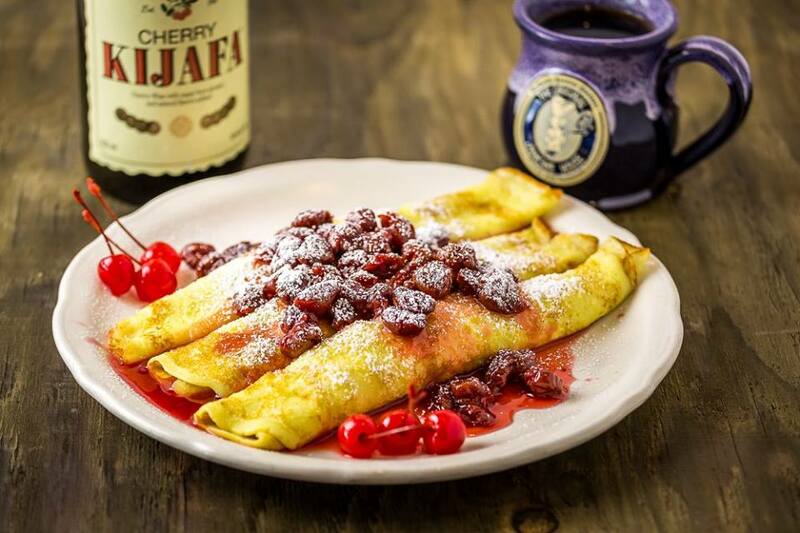 Three crepes filled and topped with Montmorency cherries simmered in our Kijafa sauce and lightly dusted with powdered sugar. Three delicate crepes served with lemon, butter, and powdered sugar. A large crepe filled with golden ripe bananas sliced sour cream, topped with diced bananas simmered in an apricot puree. Three crepes filled and topped with peaches simmered in peach brandy sauce, served with fresh whipped cream. Three crepes filled with diced apples, pecans, sour cream, Amaretto, Triple Sec, and topped with cinnamon sugar. Gift Cards! Always a great gift. Struggling to come up with a gift for that certain someone? How about their favorite breakfast treat? My fiance & I have made it a habit to visit here every time he comes into town. The food is consistently fantastic and the portions are ginormous. The servers are always very friendly and even on the busiest Saturday mornings, my wait has always been less than 10 minutes. I also love their creativity with pancake ingredients. Every single flavor I have ever eaten is absolutely delicious.